This is a full meal or a great alternative to plain mashed potatoes. 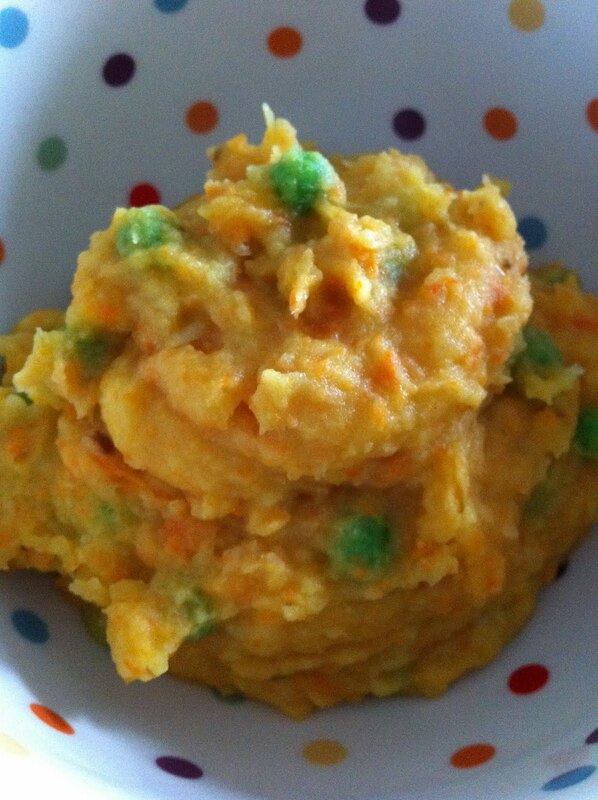 Potatoes mashed with roasted vegetables and beans – colorful, healthy, and super easy. Peel and cut up the carrots and turnips into sticks about the same size. On a baking sheet lined with tin foil, coat evenly with olive oil, salt and pepper. Roast until they are nicely browned, about 20 minutes. Peel and cut the potatoes into similar size chunks and boil them. Cook until soft, about 15 minutes. In a big pot, mix the potatoes, roasted vegetables, and beans. Use an immersion blender to mash it all up. Then add the peas, Earth Balance, and Soy Creamer and let it all cook together on a low flame until nicely combined. Season with salt and pepper to taste and enjoy!